sign and symptoms for pitra dosha analysis, how to check this dosha without kundli?, Curses of forefathers and the solutions. Pitra dosha is one of the major cause of problems in life. Struggle in life never ends if ancestors or forefathers curses are there in life. So pitra dosha analysis is necessary and the most important thing is to take some important action to minimize the pitra dosha. In this article I am going to focus on how to detect pitra dosha without kundli. Which incidents shows that there is an impact of pitra dosha in life. If any elder person or aged person left the body then he or she remains in the form of soul. This soul is the forefather, pitra or ancestor of some one's family. If the soul is satisfied or get salvation or take next birth then there is no problem but in case if the soul is dissatisfied and not taking any new birth then these types of souls creates problems to the related family persons and create pitra dosha. Due to this pitra dosha many types of problems is found in the person. 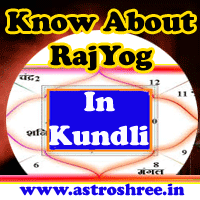 Kundli also reveals the pitra dosha But if there is no kundli then also it is easy to detect the pitra dosha just by observing some symptoms in daily routine life. Here I am going to clear some symptoms which will clear you that is there any pitra dosha is creating problem in life or not. Due to pitra dosha person faces frightening dreams of snakes. Sometimes ancestors come in dreams and ask for somethings. If the person not follow the instructions then many types of problems comes in life related to health, wealth and prosperity. Delay in marriage is also observed due to pitra dosha. If in every important occasions conflicts arises among family members then it is confirm that there is a pitra dosha in family. If miscarriage is going on regularly then it may be because of pitra dosha. If due to illusion decisions are affecting then it may be due to pitra dosha. If medicines are not working even after every precaution and try then it may be because of pitra dosha. If even after every power business is not thriving then it is possible that curses of ancestors are working. If even after having proper education and other qualities job is not coming in life then it may be due to the forefathers curses. If unwanted depression, fatigueness, dullness is surrounding then it may be because of pitra dosha. Sometimes unwanted fear, anger, suicidal tendencies also happens due to forfathers curses. Legal problems may also faces by the person who is affected by pitra dosha. If any crow creates problems or hurt you in dreams or in reality then be sure about pitra dosha. Dreams of pind daan if coming regularly then there may be impact of pitra dosha. Feeling of some one expectations and if any image is demanding something regularly in dreams then also it shows that soul is expecting something from you and it is good to do so. Otherwise it may attract curses. So pitra dosha can be easily detected just by observing the incidents happens with us too. If it is so then what to do?, how to satisfy our ancestors, how to over come from pitra dosha, is it possible to satisfy a soul. Many questions are there and if we get the answers then no doubts we can live a smooth life with the blessings of pitra or ancestors or forefathers. Reciting Bhagwat Geeta and pray for the peace of ancestors is one of the easy and perfect way to over come from pitra dosha. Worship of lord shiva and abhishek or shivlingam on Amvasya and pray for the mukti of souls is also a great way to minimize pitra dosha. On amavasya if one worship peepal tree and offer milk, water, bhoga, dhoop and deep then it also minimize pitra dosha. Tarpan for the growth of forefathers is said to be the best way to minimize pitra dosha. There are very special poojas which can be done for the peace of ancestors. It is also advised to take blessings of elders members in family to minimize pitra dosha. Offering food, cloths, water to needy on amavasya and pitra paksh also helps to minimize pitra dosha. So the blessings of pitra or ancestors are very essential part of life and to get success in life every one must remember the ancestors and pray for their upliftment. It is our duty to remember our ancestors, it is our duty to pray for their peace and salvation. If you want to confirm about any doshas in horoscope and their perfect remedies then do take the paid services of ASTROSHREE ASTROLOGER and get proper guidance.